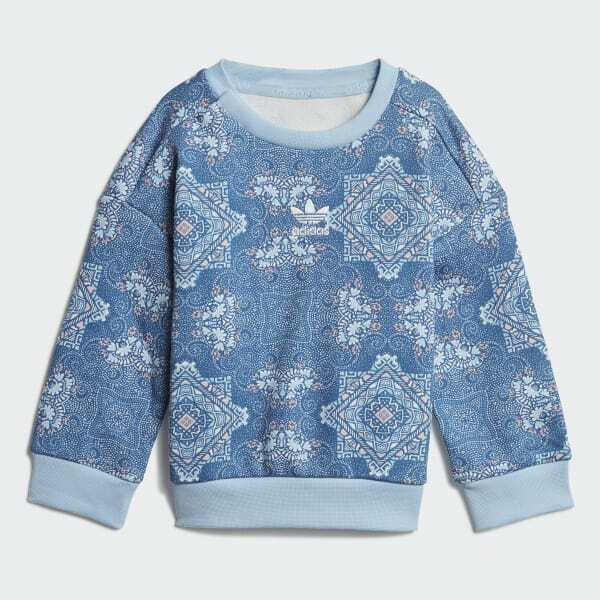 An infants' outfit with a sweatshirt covered in geometric graphics. A sporty look that embraces diversity. This infants' two-piece set comes with a sweatshirt that shows off geometric patterns inspired by Australian aborigine, Indonesian, Navajo and African artwork. The leggings feature authentic adidas Originals style with a Trefoil logo and 3-Stripes on the legs. French terry fabric gives this outfit a plush, comfortable feel.